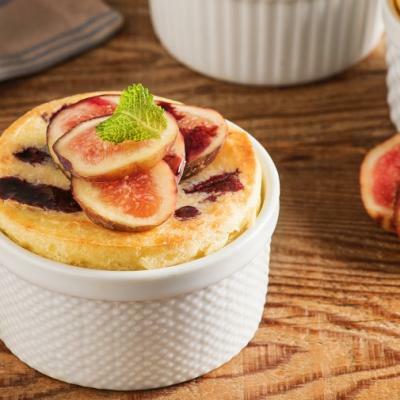 Soufflé roughly translates to “full of air,” with egg whites giving soufflés their signature puffiness. 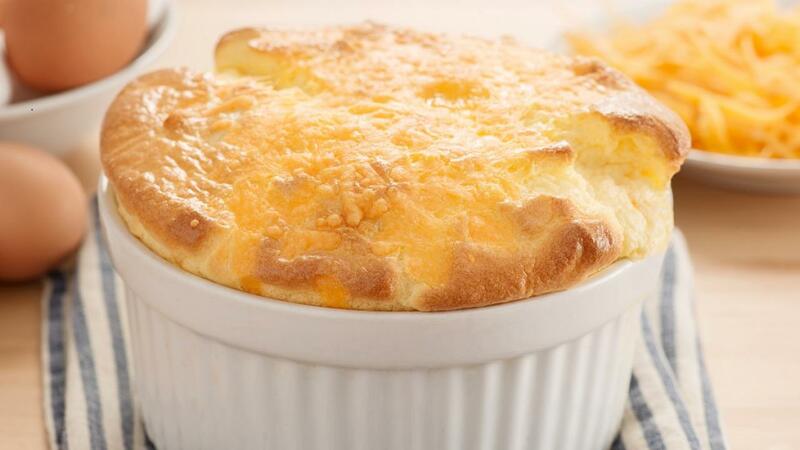 Cheesy and fluffy, this cheese and bread version certainly won’t leave you feeling deflated. Melt butter in saucepan. Whisk in flour; cook and stir over low heat for 1 minute. Whisk in milk all at once; cook and stir until thickened. Remove from heat. Whisk in egg yolks, two at a time. Stir in cheese. Add mustard, salt and pepper; mix well. Transfer mixture to large bowl and set aside. Beat egg whites in medium bowl with electric mixer until stiff but not dry. Gently fold whites into cheese mixture. Stir in bread cubes. Pour into ungreased 8-cup (2 L) soufflé dish. Bake in preheated 375°F (190°C) oven until soufflé has risen and is golden brown, about 30-35 minutes. Serve immediately. 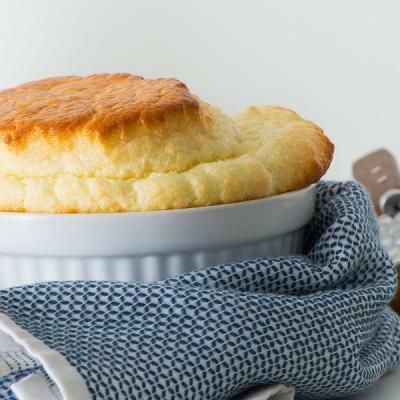 For a high-rising and tender soufflé, place a pan of hot water in the oven next to the soufflé.